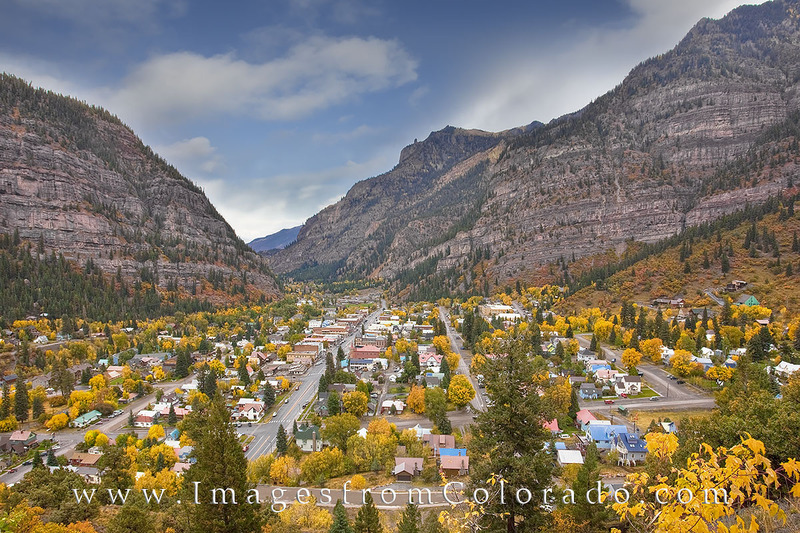 Ouray, Colorado, is known as “Little Switzerland.” In the fall, the aspen turn gold and the town is ablaze in vibrant colors. High mountains of the San Juans surround this quaint little resort, and this location is worth a visit if you’re able to make it. Photo © copyright by Rob Greebon.